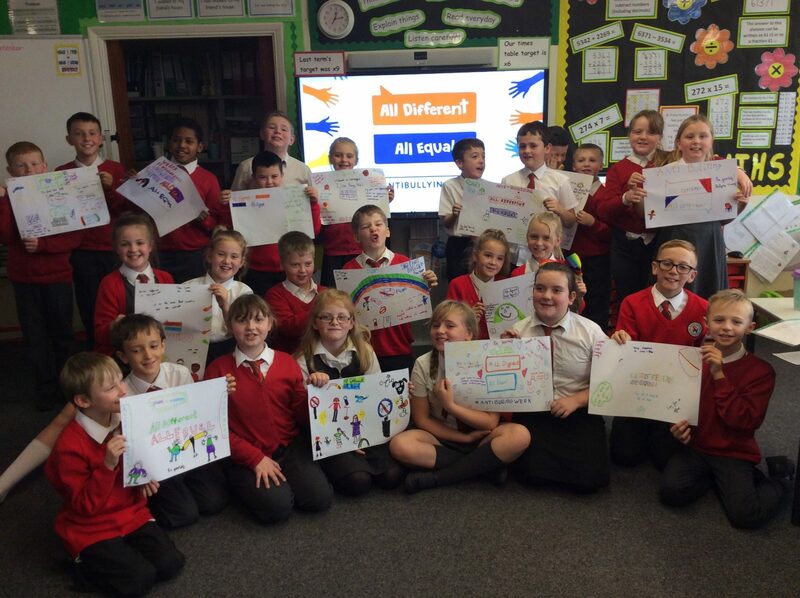 The Year 5 children have been thinking about this year’s anti bullying theme: all different, all equal. Here we are with our posters. Look out for them around school. This entry was posted in Year 5 and tagged Anti Bullying, P.H.S.E. on November 15, 2017 by Sandford Hill. Excellent posters, Year 5. I hope you enjoy our year 3 assembly about Anti-bullying tomorrow. Well done Year 5, the posters really have brightened up the corridor outside your classrooms. Well done year 5 and well done Sandford Hill Primary inclusion and diversity is why this school is amazing. Fantastic year 5 I enjoyed doing the posters to . The posters were really fun and are very colourful. Well done everyone.